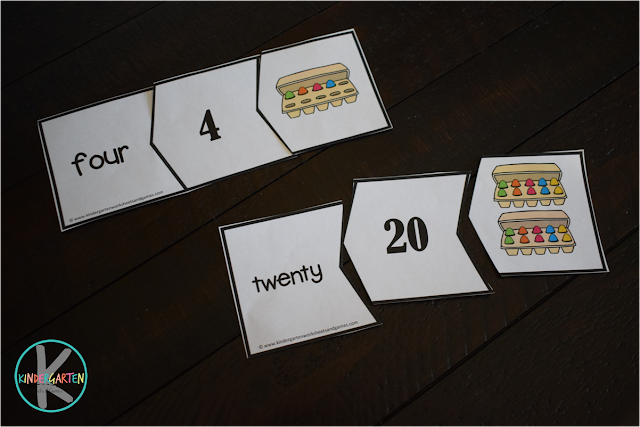 Make practicing counting to 20 fun for preschool and kindergarten age kids with these fun Easter Count to 20 Math Puzzles. 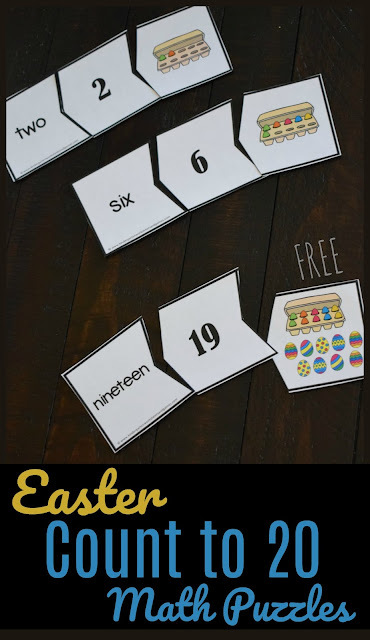 These Easter Count to 20 Math Puzzles are super cute and LOW PREP! They don’t take up a lot of room and can be easily stored in a ziplock bag. 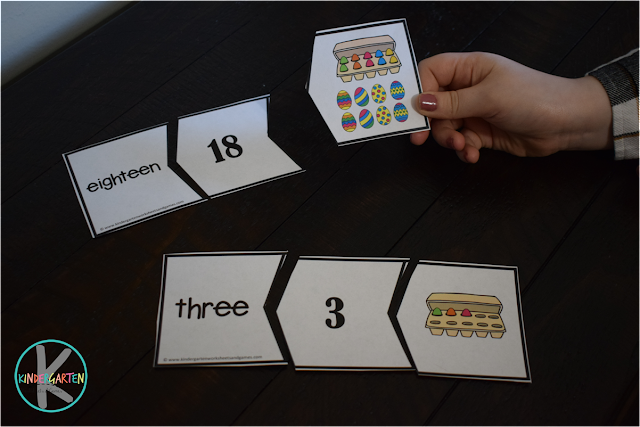 This LOW PREP math activity is perfect for spring math centers, extra practice, and at home for preschool and kindergarten age kids. Set out the pieces and students will count the Easter eggs and find the corresponding number and number names to complete their puzzle. A whole carton is ten eggs to go along with ten frame concepts as well. This is such a fun way to practice counting to 20. The children and I absolutely love this resource, thank you. I have noticed an error on the number 14… the egg carton and extra eggs only equal 11? Is it possible to correct this in order to have a complete set?